Really? Oh yes, really. I don’t know what came over me when I saw a leftover bowl of delicious, creamy mashed potatoes and a half-eaten avocado but the result was really something special. Avotatoes? Pocados? I don’t know what you’d call it but the creaminess of the mash potatoes along with the nuttieness of the avocado makes for one delish side dish! And, don’t worry, the avocado doesn’t turn brown once mixed with the potatoes. This may even make a beautiful “green” dish for St. Patrick’s Day,. 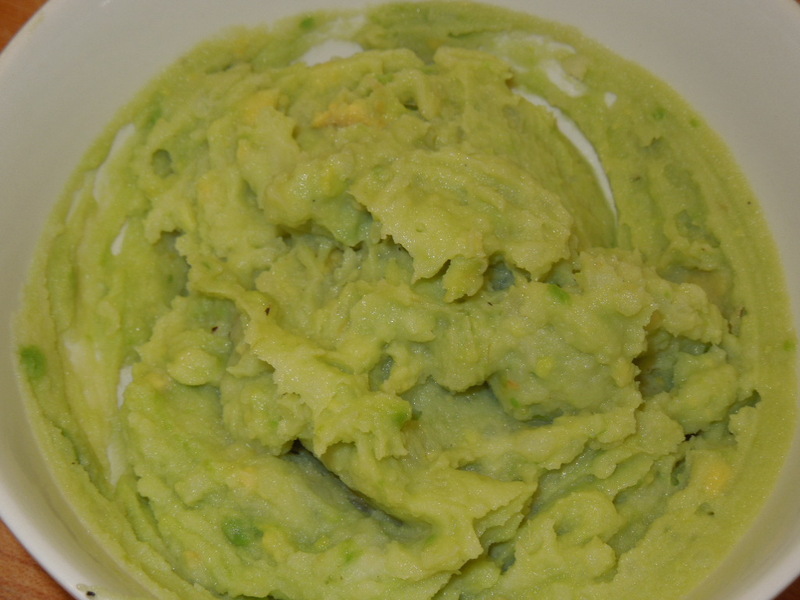 Combine 2 parts leftover mashed potatoes with 1 part mashed hass avocado, leaving a few small avocado pieces. Tags: avocado mashed potatoes, food, recipe. Bookmark the permalink.